Nancy Brennan is headed for a job at the Asian Art Museum of San Francisco. 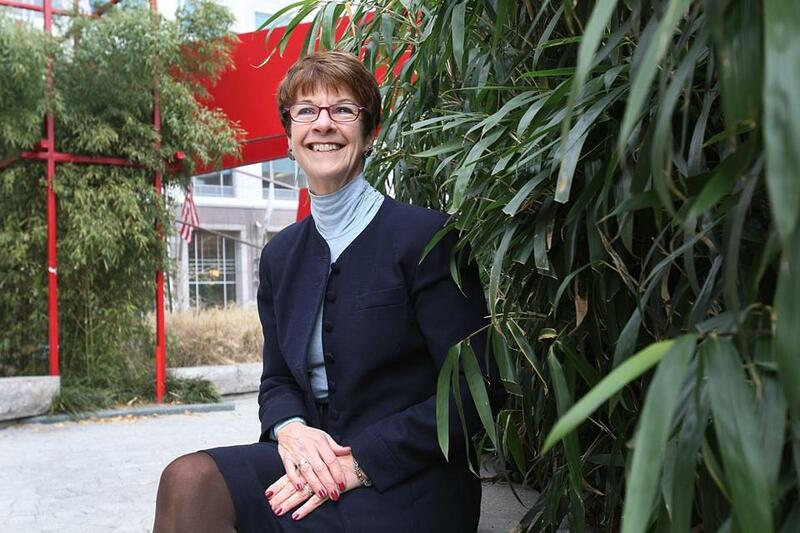 When Nancy Brennan became the first executive director of the Greenway Conservancy in 2005, the Rose Fitzgerald Kennedy Greenway was a collection of grassy patches where a highway used to be, a blank canvas in need of a vision. Greenway officials had to abandon some ambitious early plans, including an arts and culture center and an indoor arboretum, but those losses have helped shape what the Greenway has become: an appealing, ground-level urban park, dotted with food trucks and small attractions. Visitors can now enjoy a labyrinth, a guide to the Harbor Islands, and some irresistible fountains. A $2.5 million new Boston-themed carousel is scheduled to open next year. For all of its advances, though, the Greenway still has yet to reach its full potential. There is little to draw visitors to the park in cold-weather months, the landscaping can be less than inspired, and critics have rapped the conservancy for its high executive salaries and its relative lack of transparency. Now, Brennan’s departure, for a job at the Asian Art Museum of San Francisco, leaves the conservancy with an opportunity. Brennan’s successor might not need all of her $185,000 salary and bonuses, but he or she will need a few things to help the Greenway fulfill its promise. Foremost is a steady source of income. The Greenway’s 15 acres are owned by the Massachusetts Department of Transportation, which wants to stop making direct cash donations by 2018. The Greenway is examining a range of fundraising options, such as renting out space and selling corporate naming rights, but the most promising plan involves creating a business improvement district that would collect fees from abutting property owners. Those owners, though, want the state to commit to some ongoing financial support. That is a reasonable request for a park that represents the fruits of the Big Dig. And the City of Boston, which has largely washed its hands of the Greenway, could stand to make its own contributions to a high-profile park that both connects and elevates the urban landscape. Meanwhile, the Greenway’s next leader should have an eye toward programming and marketing, and making the Greenway more vibrant throughout the year. Under Brennan’s leadership, the park has made impressive strides. With a little funding help, it can truly be Boston’s reward for the Big Dig.